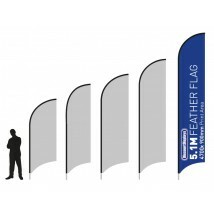 We have put together a great range of portable flagpoles that include feather flags, teardrop flags, backpack flags and giant flagpoles that utilise a water fillable base. 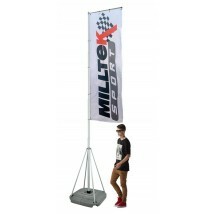 Ideal for garage forecourts, outdoor events, conferences and sports events, the flagpoles are designed to withstand windy conditions and always display the flag prominently. 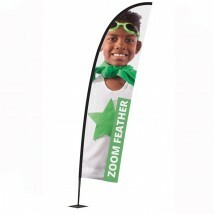 The flags themselves are custom printed in-house using the very best inks and material. 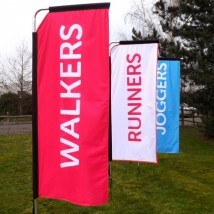 If you are looking for portable flagpole advice, please give our team of outdoor display experts a call on 0844 800 1020. 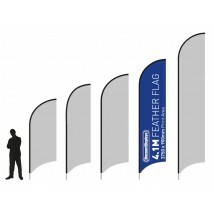 Giant flag poles have dozens of different uses. They offer high visibility at open-air events, in front of exhibition halls, service stations shopping malls or department stores. 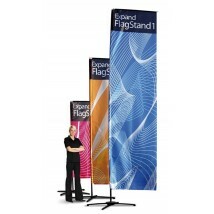 The giant poles are easy to handle and to install. The water filled base and rotating top arm make them very stable It only takes a couple of minutes to put up the giant pole. No holes to dig just fill the base with water. 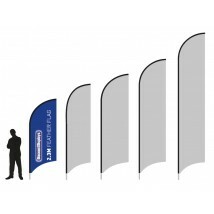 Tested to the European TÜV standard. 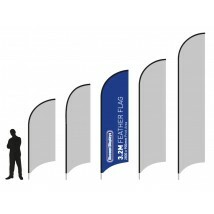 Outdoor / indoor free standing flag pole systems. Three types available with features including a durable water-filled base, rotating top arm to make an impact at conferences, exhibitions, sports events or forecourts. To view our complete range of flags click here. 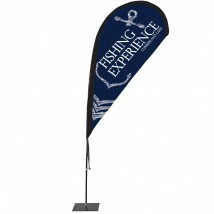 For banner stands, portable flag poles, jumbo banner stands, ez-up tents and Y-bands click here. 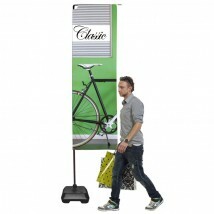 We've got the experience to print vinyl banners, producing thousands over the last 30 years. 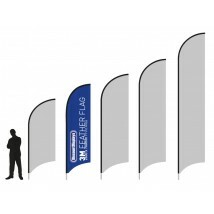 They have been used for numerous different marketing purposes:- real estate banners, schools training, conferences, sports events, party banners, political events, product launches, charity fundraising, birthday banners, anniversaries, parades, car and motorbike races, boat race banners, golf tournaments, crime scene banners, construction company and many more. 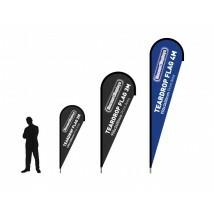 You may also be interested in our feather flags, pop up tents, mesh banners, outdoor event signs, banner frames and PVC banners.